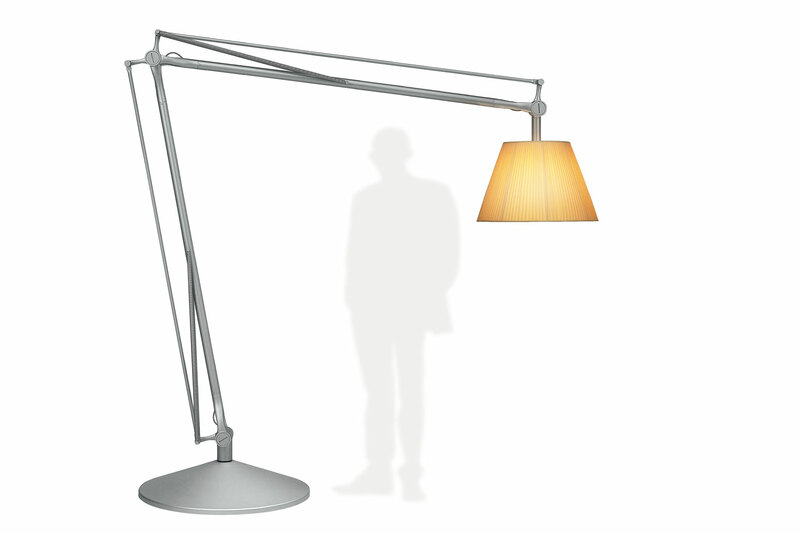 This floor lamp is a magnified version of designer Philippe StarckÕs Archimoon lighting series. It features an acid etched hand-blown pressed glass internal diffuser, a pleated cloth external diffuser and tubular aluminum arms with tie rods. Weighing a total of 315 lbs, this lamp is supported by a sand-cast aluminum base with six lead counterweights and gray painted spun aluminum base cover.